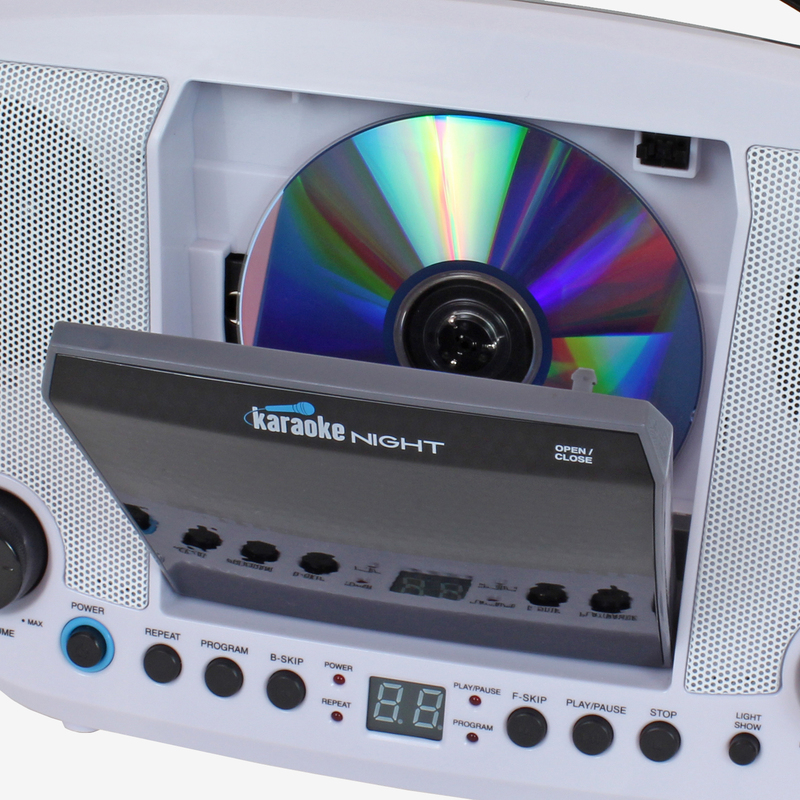 This compact sing-a-long karaoke machine is proof that good things come in small packages. Our KN103 is more than capable of providing the big sound you’re looking for to get the karaoke party started. 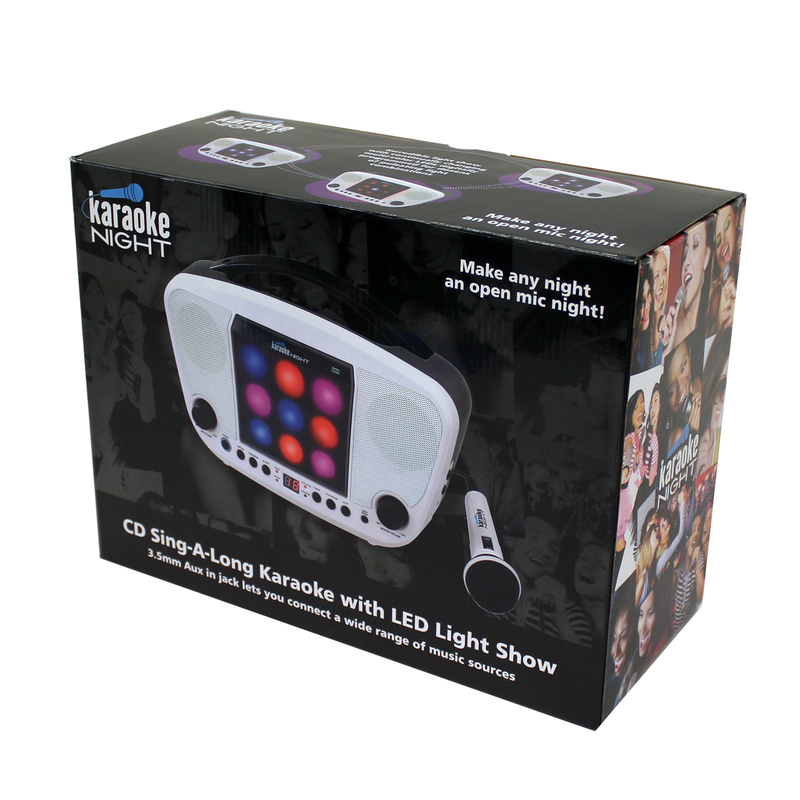 Not only will the sound from this little karaoke machine attract a big crowd but the multi-color LED light show will give your performance that extra flair. 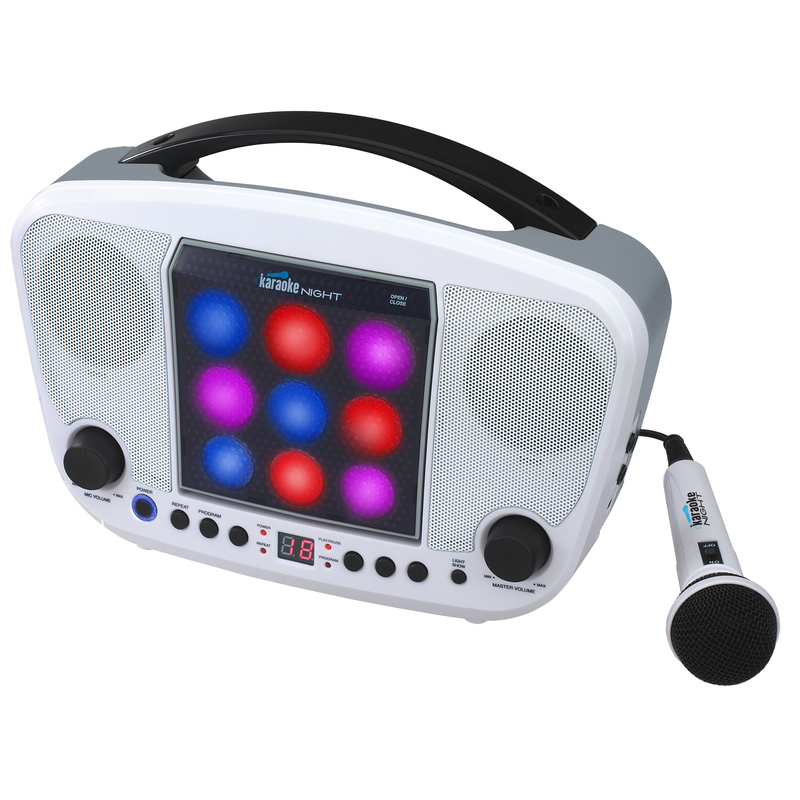 Simple to use; this ultra portable sing-a-long karaoke machine with microphone is the perfect system for those entering the ultra-popular world of karaoke for the very first time.